This hotel is ideal for those looking for a peaceful stay. The hotel has essential amenities making sure that the guests are at ease. 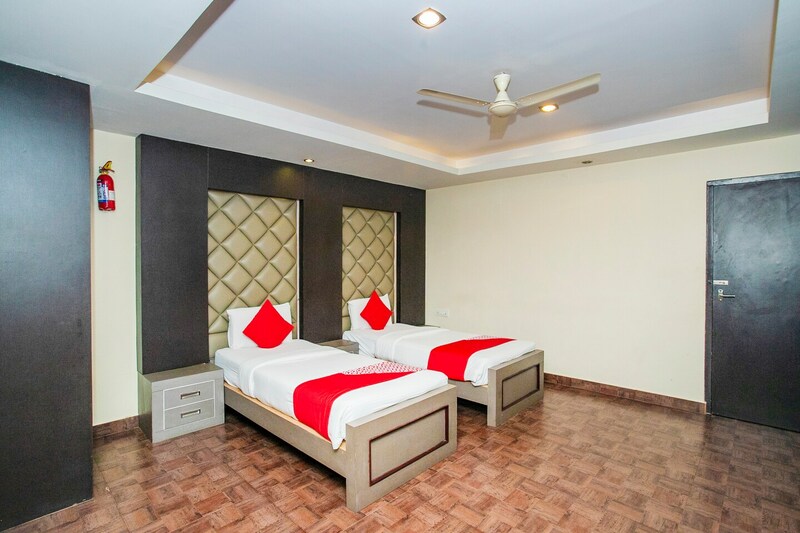 The rooms have wooden flooring and modern furniture. The cushioned headboard has a unique design which adds to the appeal of the room and makes the stay comfortable. The room has side tables and a floating desk. The hotel has a spacious in-house restaurant serving sumptuous food. The hotel also has a bar, a dining area and a living room. Other facilities at the hotel include a parking space, free WiFi access, an elevator and power backup.